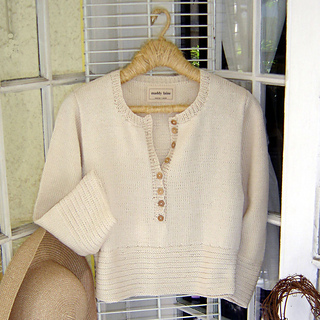 A maddy laine knitting pattern for a classic pullover with wide bands of horizontal ribbing that sit at the waist and also edge the three-quarter length sleeves. 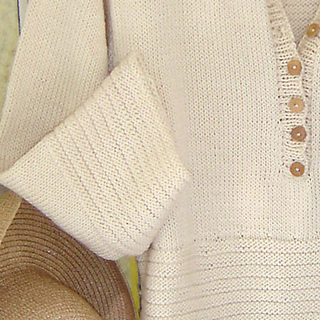 This pattern features a long front-buttoned opening and set-in sleeves to knit in DK yarn. The knitting pattern, written in both US and metric measurements, includes a schematic drawing.